The Sea Eagles could be facing significant fines. 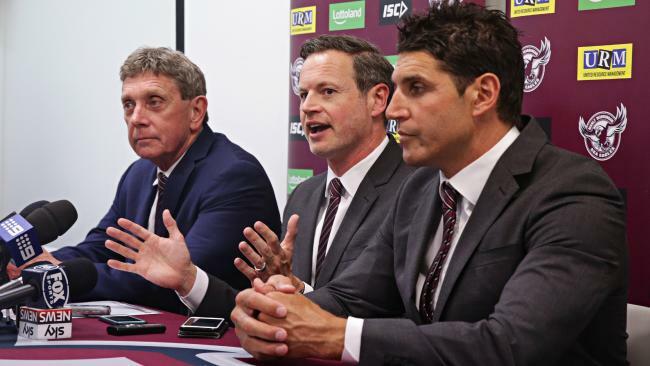 THE NRL has issued the Manly Sea Eagles with a breach notice following a lengthy investigation into salary cap issues at the club by the NRL's integrity unit. "The notice concerns preliminary findings of potential breaches of the salary cap over the last five years," the NRL said in a statement. Daily Telegraph NRL writer Buzz Rothfield was the first to report the news and also stated the fine could be in the "several hundred thousand" region. Show cause notices have also been issued to two current club officials, requiring them to demonstrate why their registrations should not be cancelled. This follows a similar trend to the 2016 case involving Parramatta who were docked 12 competition points and fined $1 million for breaching the salary cap over a number of years. Manly were contacted by news.com.au for comment but did not provide a statement at this time.